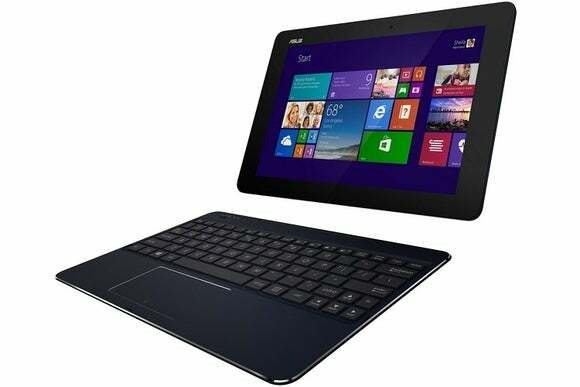 Asus is taking orders for the latest version of its Transformer Book Chi laptops, which can convert into tablet mode with detachable keyboards. The tablet alone measures 0.3 inches thick and weighs 1.3 pounds, and becomes 0.5 inches thick and 2.4 pounds with the keyboard dock. Asus is advertising up to 10 hours of battery life for this model. The pricier T300 Chi has a 12.5-inch 1080p display, 2 GHz Intel Core M 5Y10processor, 4 GB of RAM, and 128 GB of storage for $699. There’s also an $899 model with a 2.9 GHz processor, 2560-by-1440 resolution display, and 8 GB of RAM. 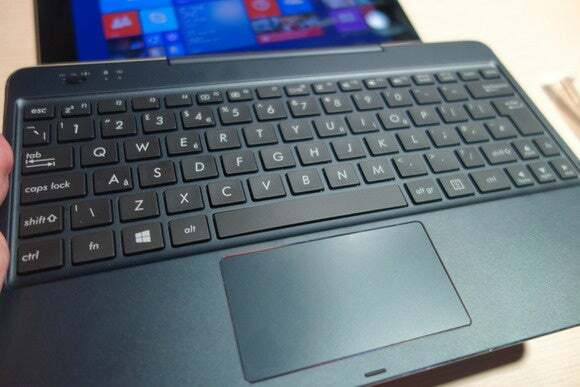 Both T300 variants measure 0.3 inches thick and 1.6 pounds for the tablet, going up to 0.6 inches thick and 3.2 pounds with the keyboard attached. Support for an active stylus pen is also included—though there’s no word on price or what technology it uses—and Asus says it gets up to eight hours of battery life. With either the T100 or T300, you get one USB 3.0 port, one USB 2.0 port, Micro-HDMI, Micro SD and a 2-megapixel front camera. The T100 also includes a 5-megapixel rear-facing camera, and includes a year’s subscription to Office 365 Personal. Asus is taking pre-orders for the T100 and T300 on its website, and will also sell them through Newegg, Amazon, and other retailers, but the company hasn’t given a firm ship date. While we haven’t yet tried the final product, you can check out our hands-on from CES in January. Why this matters: Asus could position its new 2-in-1s as alternatives to Microsoft’s Surface Pro 3 ($929 and up with a keyboard) and newly-announced Surface 3 ($629 with a keyboard). The Transformer Book Chi probably won’t match the fit and finish of Microsoft’s hybrids, but they’ll be a lot cheaper and have a more traditional laptop design.